Develop, extend, and embed visual analytics in your apps, portals, anywhere - all done within a common governance and security framework. Work for Qlik Analytics Platform? Learning about Qlik Analytics Platform? "Qlik rocks. Great data tool. " I use this tool to handle and manage data. I have used other data tools, but this is far better than the most common and absolutely better than Excel. The new interface is a lot easier to use. Their support is solid, if you pay for it. Learning curve. It takes time to make it happen, but once you learn do, its an excellent BI tool. There is not much negative, as long as you do not think the tool is plug n play with little to no work. Allows us to crunch data and find insights fast. Used for both large and small data sets. We love the product and each day find new ideas to solve challenges. - Qlik's solutions are available online & offline, in the cloud, on the desktop and right on your mobile devices. I love Qlik's capability to assess revenue metrics across a 12 month period and allow for detailed analysis by drilling down into specific months / time frames. Additionally, we review our clients adoption and uptake statistics from our SaaS platform to enable us to monitor business activity and provide BI to the client to show how they can also be more successful in business. A little clunky when trying to log in and access via password reset at times. Aside this, the application works really well most of the time. Definitely consider using this tool if you cannot afford Tableau licensing. It offers a very similar user interface and feature wise its fantastic. Producing revenue and adoption activity metrics for our SaaS platform. Enabling us to present these to the clients to enable on-going renewals and recurring revenue. These metrics can be shared with our clients to also assist them in solving their own business problems and enable them to become more successful. I liked the fact that you can exploit the data you are working with as it allows you to visualize data in multiple ways including different types of graphs and metrics,. It also allows you to export the data in to excel if you wanted. The fact that you must receive some previous lessons in order to use the program. Once you get it, you will be good to go. I strongly recommend using Qlikview to the reasons mentioned earlier. You are able to take advantage of key metrics and indicators. Mainly with clients trying to implement Qlikview in their IT department to exploit better their data. "Qlik Puts Straight-Forward Data in Front of You "
Qlik makes it very easy to review different markets data for my organization and compare who each market is doing against others. The ability to see data presented in different graphs and charts means that I can easily communicate to different stakeholders in ways that makes sense to them. Be sure to have someone in your organization that is a superuser, and knows how to teach others while being willing to do regular trainings that make sense for the person being trained. In a sales environment, data is EVERYTHING. We previously had many different areas to go for for information, and Qlik consolidates that. Its a good alternative for those people who need analytics tools at their job. 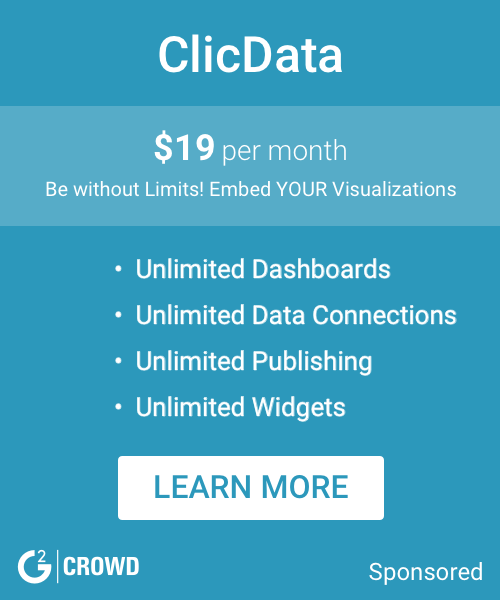 Easy to use on the cloud, good database integrations and dashboards. I didnt get much time using yet but it seems to be good once is hosted on the cloud, with fast access on anywhere. Better reports that support managers decisions by sharing information with its operation. The idea of embedding the analytical platform within our application or any mashups is the best. The fantastic capability of performing ETL at the backend tends to be a tedious job for a non-technical person. Basic SQL coding knowledge is required to start with Qlik. Very easy to use and implement even with limited knowledge. Must have for data analytics companies to bring out insightful visualizations. I have used Qlik in my previous company to build an entire dashboard for call center analytics. Qlik analytics platform was specifically used for embedding into this report. Visualizations were also embedded into the client's website. "Qlik is okay, but definitely not the best"
Due to the technical expertise needed to operate this software, our IT department is able to keep access pretty tight (security-focus here). I don't love the UI or the complexity required to accomplish what we need. It quickly becomes somewhat of a fragile data framework. We use Qlik Analytics for data reporting and analysis, primarily focused on business users. It is a really user friendly software. It is easy to understand and easy to learn. It has great user interface which works appropriately for all jobs. Qlik is a great software. It is just a bit slower than other softwares in the market. Other than that it is a great analytical tool. I perform data analysis for hospital and nursing department. I have a project related to peds business case. It also is a go to tool for other small day to day projects at my job. Qlik is easy to use and a good analytics tool for the price. I would suggest Qlik to any startup business that understands the importance of analytics! 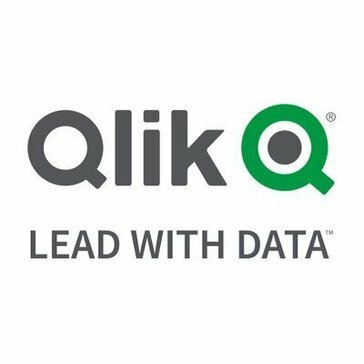 Qlik is a growing company and I'm sure their product will improve over time. There are better tools out there that are more user-friendly and have better dashboards - such as Looker and Tableau. I'm positive that Qlik will implement features that Looker and Tableau have. Qlik helps up understand every aspect of our business. "Easy Implementation and Intuitive user interface"
Extracting data from multiple data sources for building analytical solutions is not that complicated. Different charts accessibility is good. It can be used to create more powerful and complicated solutions compared to other popular BI tools available in market. There is still scope to simplify this tool further. We created apps and reports to track various key performance indicators. The drag and drop features. Working with the CSUF parking and analyzing the parking spaces and their usage. Also analyzing alternate transportation methods and how well they're used. * We monitor all Qlik Analytics Platform reviews to prevent fraudulent reviews and keep review quality high. We do not post reviews by company employees or direct competitors. Validated reviews require the user to submit a screenshot of the product containing their user ID, in order to verify a user is an actual user of the product. Hi there! Are you looking to implement a solution like Qlik Analytics Platform?